Dentures provide a perfect solution if you are missing some of your natural teeth and want to reclaim the self-confidence that comes with an attractive smile. Nevertheless, a lot of people do not realize just how much care dentures require to keep them looking good and to avoid damaging them. Here is what you need to know before committing yourself to owning a pair of dentures. It is important to clean your dentures just as carefully and as often as you would your actual teeth. If you stick to a strict routine and clean your dentures at least twice a day, your chances of developing inflamed gums and oral infections diminish. Additionally, you will be helping to combat decay thus reducing your chances of losing more teeth. Just as it is vital to clean your dentures regularly, so is it to clean them properly. The first thing you should do is remove any food residue by brushing your dentures with cleaning paste. Then, you need to soak the dentures in denture cleaner. Finally, Mississauga dentists recommend that you brush the dentures one more time after soaking them. Every time you brush them, you should also do it in a gentle way to avoid denting them but ensure that you do it thoroughly enough to ensure that you have eliminated all bacteria. First of all, if you have dentures with a soft lining, you will have to buy a denture cleaner that particularly states that it will not damage the lining of your dentures. Mississauga dentists usually offer people with sensitive gums or teeth these dentures with soft linings. 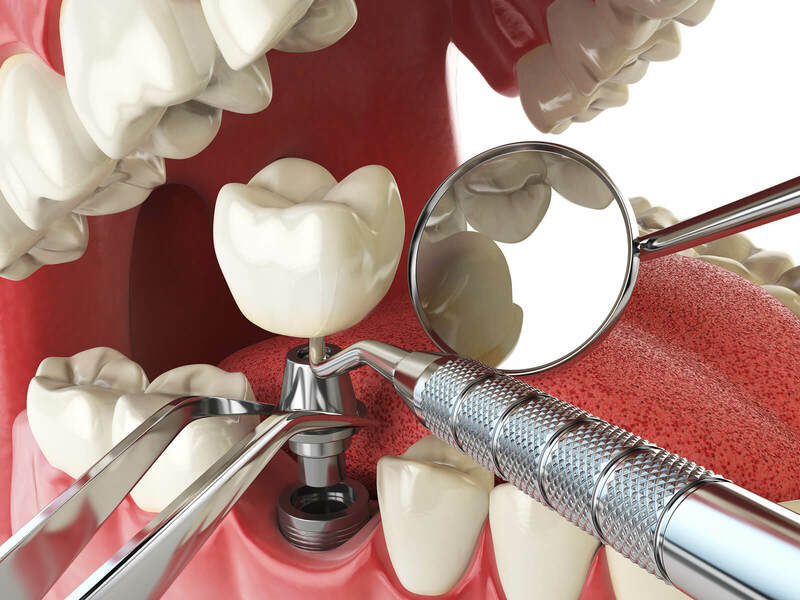 If you choose to have metallic dentures, then you will have to go through available denture cleaners to ensure that you get one designed to clean metal. If you are finding it hard getting the right cleaner, see your dentist for advice. It is also important to note that Mississauga dentists do not endorse using any bleaching products on your dentures. Such products typically weaken your dentures and expose them to damage. Moreover, bleaching products tend to make dentures look less like natural teeth. By limiting your intake of red wine and caffeinated products such as coffee and tea, you can greatly reduce the likelihood of staining your dentures. Nevertheless, if you happen to notice extreme discoloration of your dentures, then Mississauga dentists offer you the possibility of having a professional denture cleaning. The process can entirely remove stains in some cases. Removing your dentures when you go to sleep is very important. This is because having them on overnight can cause a yeast infection or gum inflammation in your mouth. Soak your dentures in an appropriate cleaner overnight so as to prevent cracking or warping. As a denture owner or wearer, you need to keep in mind that your dentist plays an important role when it comes to maintaining your dentures. You need to have your dentures examined at regular intervals. Mississauga dentists will be able to tell whether your dentures have accumulated tartar that they need to professionally eliminate in order to ensure that your dentures continue to fit properly. If you fail to attend your appointments with the dentist, your dentures may end up not fitting you properly and you could develop painful oral sores. Furthermore, you should have your dentist inspect your mouth on a regular basis even if you no longer have any real teeth because ordinarily, your dentist will be the first person to notice any symptoms of mouth or gum diseases such as periodontal disease.